to all three nights of the festival. (a savings of $10 off purchasing individual tickets) and is only available to purchase until 8PM on Thursday, January 17th! Tickets for individual nights ​of the festival are $15. 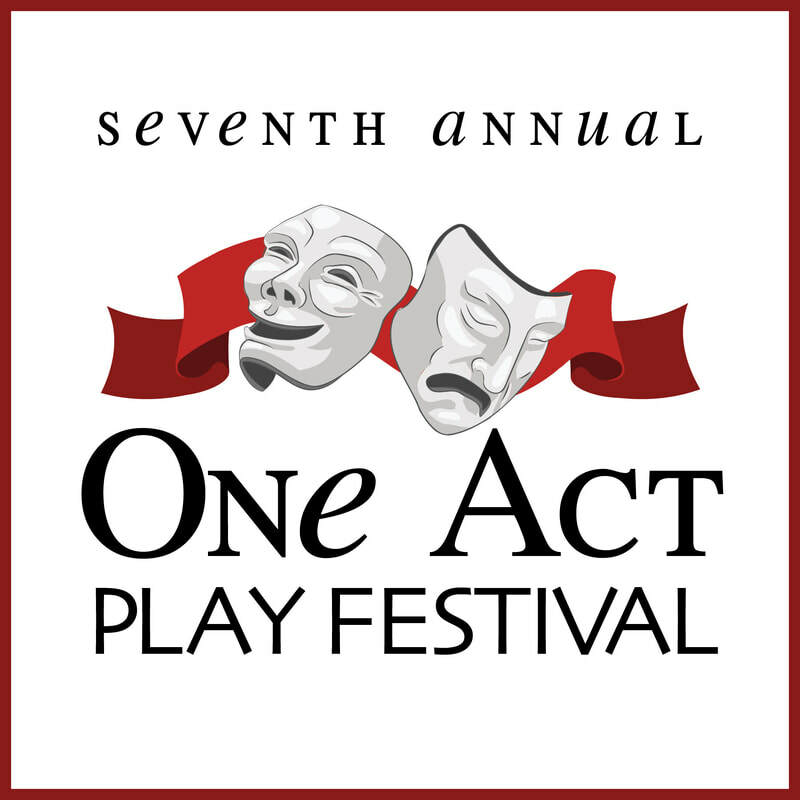 Our annual One Act Festival features short plays by emerging playwrights. Each evening, multiple shorts plays are presented. An audience favorite, the festival brings a variety of genres and themes to the stage. ​Three days of original One Act Plays from around the world! After receiving entries from across the United States, the UK, Scotland, Japan, Russia, France and Uzbekistan, our reading committees have selected a small number of scripts to be performed over three days. Plays ranging in length from ten to 30 minutes, comedies, dramas and farces will be performed in this hosted event. This year we are offering a special "Full Festival Pass" which is good for admission to all three nights of the festival. The "Full Festival Pass" is $35 (a savings of $10 off purchasing individual tickets) and is only available to purchase until 8PM on Thursday, March 1st! Tickets for individual nights of the festival are $15. Scroll down past the ticket purchase links to see this year's schedule of selected plays/playwrights/directors. Announcing this year's selected plays and directors!